Even glucose levels within the normal blood sugar range can be damaging. What should you do if your fasting glucose is not within the normal blood sugar range? 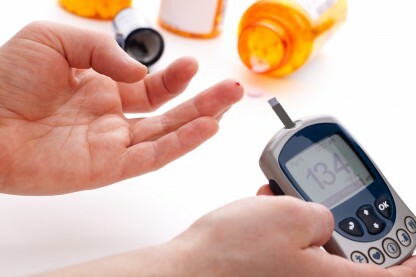 A fasting blood sugar test measures the amount of a type of sugar, called glucose, in your blood after you have not eaten for at least eight hours. Checking for an ideal fasting blood sugar is one of the most commonly performed tests to check for prediabetes and type 2 diabetes. So what should your fasting blood sugar be? If your fasting blood sugar is more than 126 mg/dL on two or more occasions, you have full-blown diabetes. However, the ADA also state that prediabetes can be considered an “intermediate stage” in the diabetes disease process. (One might wonder how prediabetes can be a both a risk factor for diabetes and an intermediate stage of the diabetes disease process simultaneously). 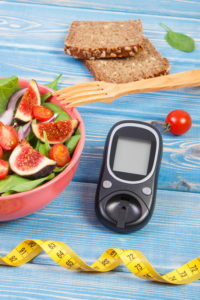 In addition to increasing the chance of developing diabetes, it’s well-established that people with impaired fasting glucose/prediabetes are more likely to be overweight or obese, especially with what’s known as abdominal or visceral obesity. They also are more likely to have high triglycerides and/or low HDL cholesterol, and hypertension. There’s a lot more at stake for those with prediabetes, too. Studies show that even those with fasting blood sugar levels towards the high end of the optimal glucose level may be at significantly higher risk. In fact, these cut-offs for what are considered “normal,” prediabetes, and diabetes blood sugar ranges are somewhat arbitrary. The truth is that blood sugar starts damaging body tissues and increasing your risk of numerous diseases even at levels lower than prediabetes levels. A panel of experts gathered by the American College of Endocrinology and the American Association of Clinical Endocrinologists confirmed this in 2008 when they reviewed all the science on prediabetes and diabetes. They found that the risks of having elevated blood sugar—including heart disease, strokes, kidney damage, nerve damage, dementia, and cancer—start at numbers much lower than those used to diagnose pre-diabetes or diabetes. In other words, even if your normal fasting glucose level falls within the optimal range, you could still be damaging your heart, brain, and other tissues—and setting yourself up for diabetes symptoms down the road. What’s an Optimal Glucose Level? At this point you might be wondering what constitutes an optimal fasting blood sugar range. Some studies indicate that an ideal fasting glucose level is less than 90 mg/dl and likely somewhere around 85 mg/dl. [3,4] However, the optimal fasting blood glucose level likely depends on additional factors related to blood sugar regulation. The fasting blood sugar test provides only a small amount of information regarding how your body handles sugar. There are other important tests, such as the glucose tolerance test, the insulin response test, and the Hemoglobin A1c test, which are considered by many experts to be more important indicators of prediabetes and other problems with blood sugar metabolism. Adopts a diabetic diet that boosts intake of healthy foods while decreasing intake of sugar and empty carbs. 2 diabetes, a diabetic diet, blood glucose level, blood glucose levels, blood sugar, blood sugar control, blood sugar levels, blood sugar range, blood sugar ranges, blood sugar symptoms, brain, cancer, cardiovascular, cardiovascular disease, cholesterol, dementia, diabetes, diabetes 2, diabetes blood sugar, diabetes care, diabetes risk, diabetes symptoms, diabetic, diabetic diet, diet, diet for high blood sugar, elevated blood sugar, exercise, food, glucose, glucose levels, glucose prediabetes, Glycemic index, glycemic index food list, hdl, hdl cholesterol, healthiest diet, heart disease, high blood sugar, high triglycerides, hypertension, ideal fasting blood sugar, ideal fasting glucose, ideal fasting glucose level, insulin, low hdl, low hdl cholesterol, lowering blood sugar, metabolic syndrome, metabolic syndrome diet, metabolism, natural therapies, normal blood sugar, normal blood sugar range, obesity, optimal fasting blood sugar, pre diabetes, prediabetes, stress, studies show, sugar, sugar levels, Triglycerides, type 2 diabetes, What is prediabetes. And, if a person who has never been overweight, always exercised and eaten healthily, including following intermittent fasting for 4 years, gets a ‘prediabetic’ diagnosis, goes LCHF for 6 months and STILL gets the same HBA1c result, then what? I have recently been diagnosed as diabetic due to high A1C results. In the recent past, I was found to have low blood sugar. I have fast onset low blood sugar symptoms that come on without warning and are nearly debilitating when they occur. Today I had one such episode of low blood sugar symptoms and immediately checked my blood sugar while the symptoms were happening. The test had a result of 104 which in the diabetic circles is considered high. I drank a soda and the symptoms went away. My symptoms were; sweating, very weak, shaking light headed and short of breath. As you can see, my symptoms in no way resemble symptoms of high blood sugar, and nearly mirror the symptoms of low blood sugar.Can anyone explain this to me? I am confused. “If your fasting blood sugar is above 85 or 90 mg/dl, don’t panic”… Why “85 or 90”? Which is it? If 85 then why mention 90 since 86 would be a warning? If 90 why mention 85 since everything below 90 would be OK? Poor. You can have “prediabetes” all your life and never develop diabetes. Stop scaring people. Irresponsible. Learn F., heart disease is the #1 killer of people in the modern world. By far. Diabetes or blood sugar metabolism issues are shaping up to be the #1 cause of heart disease. Connect the dots. Be afraid! Some individuals have nothing to be afraid of, their genetics allow them to eat what they want and not suffer issues with high blood sugar and heart disease. Other individuals, like myself, apparently have issues tolerating carbs and sugars….the only reason I know this is that i had a calcium scan of my heart which shows relatively high levels of coronary artery blockage for someone my age, (53). This despite my weight of 150 lbs, active lifestyle, avoidance of fast food, etc. I’ve spent two years trying to figure out what the cause of this might be, and by far my best suspect is an inability to properly metabolize carbs and sugars. However I would never know this with normal testing, since most medical docs have generally the same attitude as you…..They do not see any reason to be concerned that my A1hc number is right at the max for “normal” and my fasting blood glucose is right at the top range of “normal”. Why would it be this high? Both numbers used to be in the lower range of normal. So, in my opinion this is a very important issue for a lot of people, and unfortunately most of those people either don’t know it is important, or they do not care. I have ranged 5.4-5.8 A1C for many years. Glucose always in normal range on labs. In 2014 normal A1C changed from under 6 to under 5.6. So I was told I’m prediabetic. I have idopatic Gastroparesis and idiopathic neuropathy. Just recently I was told that even though I technically don’t have diabetes I have damage from years of being prediabetic. I never knew this was possible nor did my previous doctors evidently. So be aware. So “prediabetic” fasting number with every other number lower. Total calorie in take for the day – 4,100. You still can’t prove that your neuropathy is being caused by blood sugar. At the numbers you posted, it likely isn’t. I have idiopathic neuropathy with lower BG than you, and also have a range of auto-immune conditions, which have been concluded as the likely cause. I have celiac disease too. Neuropathy is often caused by Vitamin B12 or folic acid deficiency as well.